I am not clear on how you created and installed the play field art work. Is this printed on mylar and then glued on? Can you give a better step by step description of this? I think the reason that I haven’t posted anything specific on this so far is that tried almost every technique available and still haven’t landed on the “best” method yet. What I think holds the most promise is a direct UV print using an industrial large-format printer. This is what I do for my back glasses (reversed print), but I haven’t yet been able to test on a wood substrate. So far I’ve tried 1) direct printing onto adhesive-backed wood laminate, 2) printing on white mylar with top lamination (applied with epoxy), 3) reverse print on vinyl with a mylar overlay and sheet adhesive, and 4) painting directly onto wood. Each has pro’s and con’s, but I think the best “one-off” technique is still yet to be found. Thanks for the reply, Brian. I think direct to substrate would be the best, but also the most expensive. Since there really isn’t much to show for that other than finding a printer, I would like to see some of the other ways you have already used on your pinball machines. 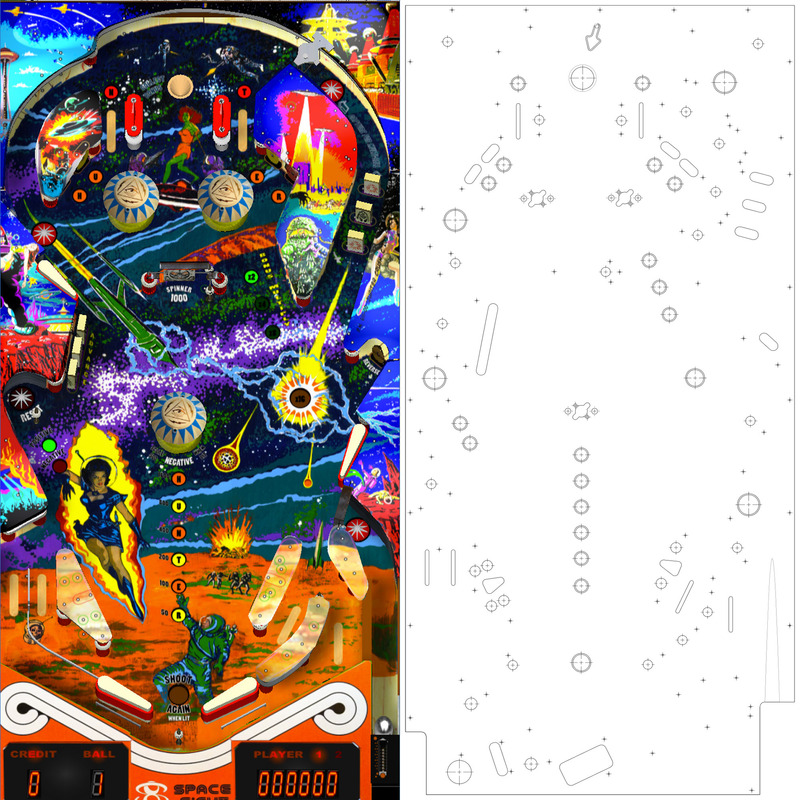 Can you go over how you printed the artwork for the playfield and how it was installed? 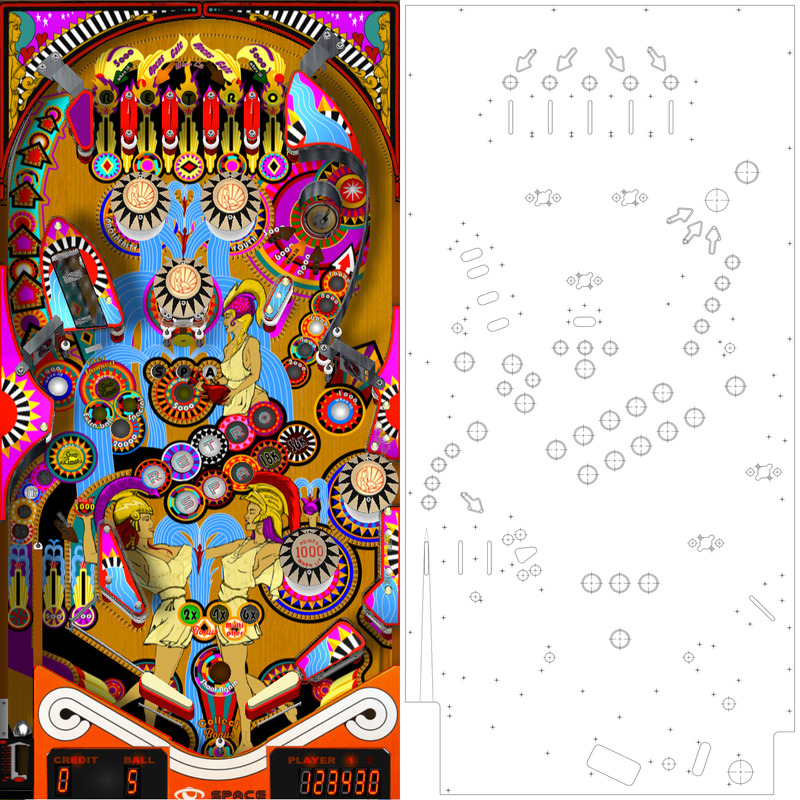 What do you make the walls of the playfield out of? 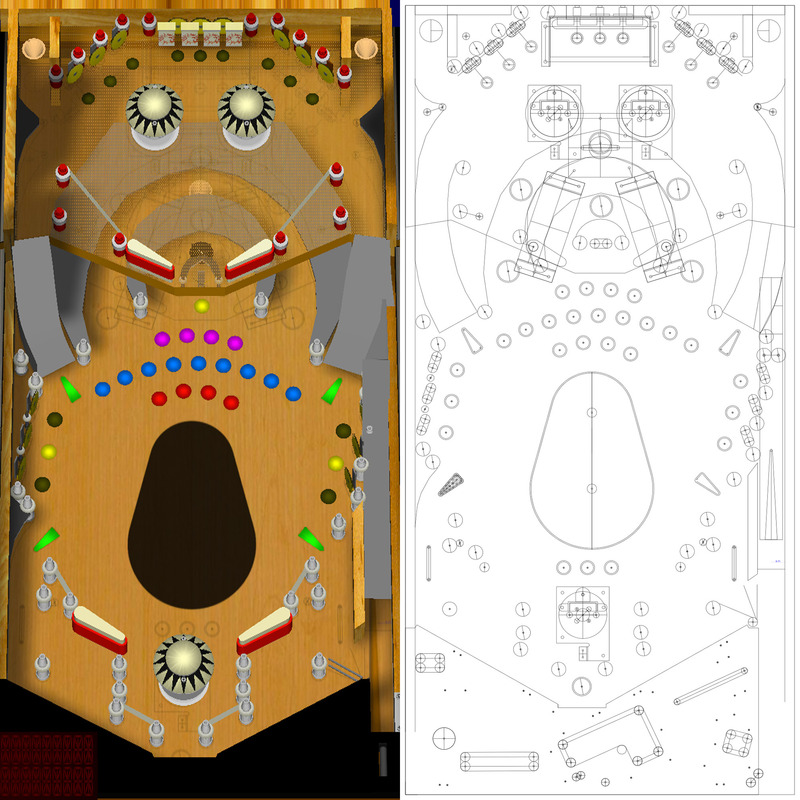 Not the cabinet side panels, but the actual pieces on the playfield. I was just going to CNC out some walls then put some flexible sheet metal on the walls so that the wood underneath won’t be deformed by being smashed by a pinball. 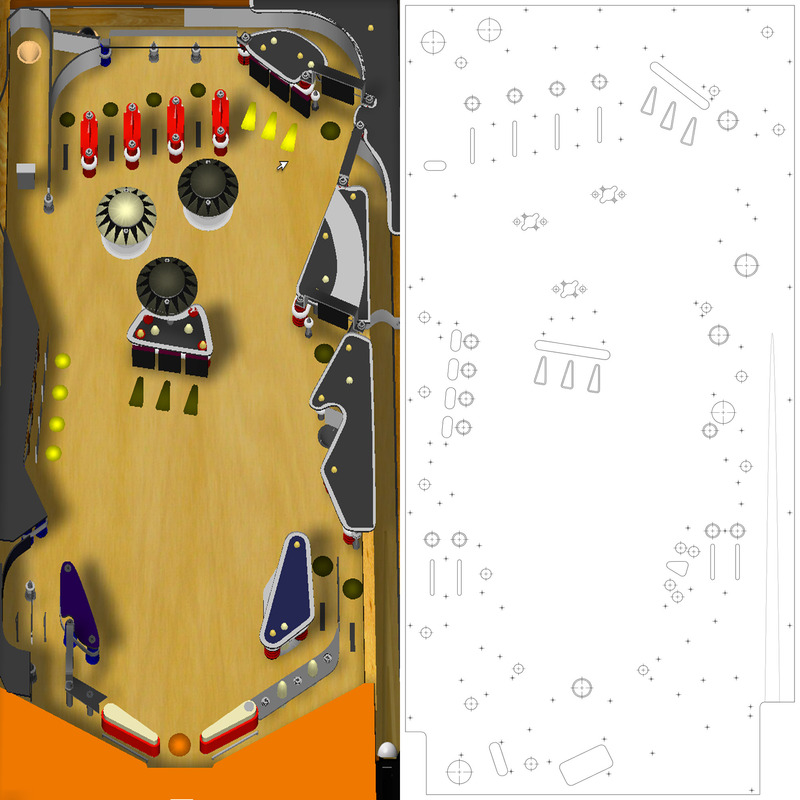 But then I though that there must be an easier/cheaper way to make the walls, because all the old pinball weren’t built with CNC machines. I just want to make sure I don’t waste time on CNCing out stuff if there is a better way. Thanks! I might try and do a blog post on this, but the side walls are traditionally wood, probably cut out at the same time the playfield. These walls are about 1.25″ tall, so that plastics attaching to posts can then span over to the side rail and be screwed down there. There are usually metal walls used for guides, and they are sometimes attached to the wooden side walls at the edge. My preferred method for custom games is to use 3D printed brackets that hold 1″ metal strips, and attach those to the side walls.